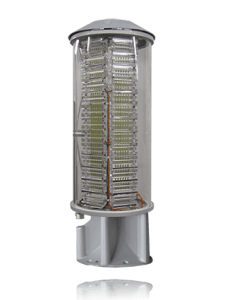 Luxsolar HIOL A / B, HIOL AB and HIOL AC (High Intensity Aviation Obstruction Light). High intensity aviation obstruction light, multiled type. In compliance with ICAO Annex 14 Type A and FAA Dual L-856/L-857. Day, twilight and night, flashing or steady burning, red or white.